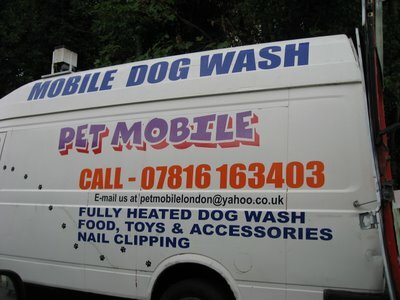 For those people who like walking their dogs, but not walking the dirt back into their homes this looks like the perfect solution- Pet Mobile. 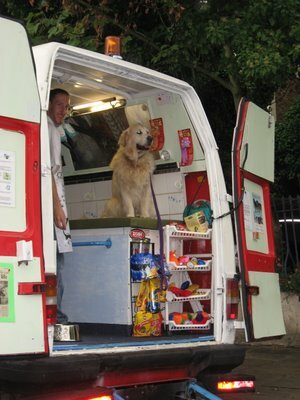 A mobile dog washer who will arrive at a given destination and give your dog a thorough clean, whilst offering a wide array of toys and treats for you to purchase for your beloved pooch. 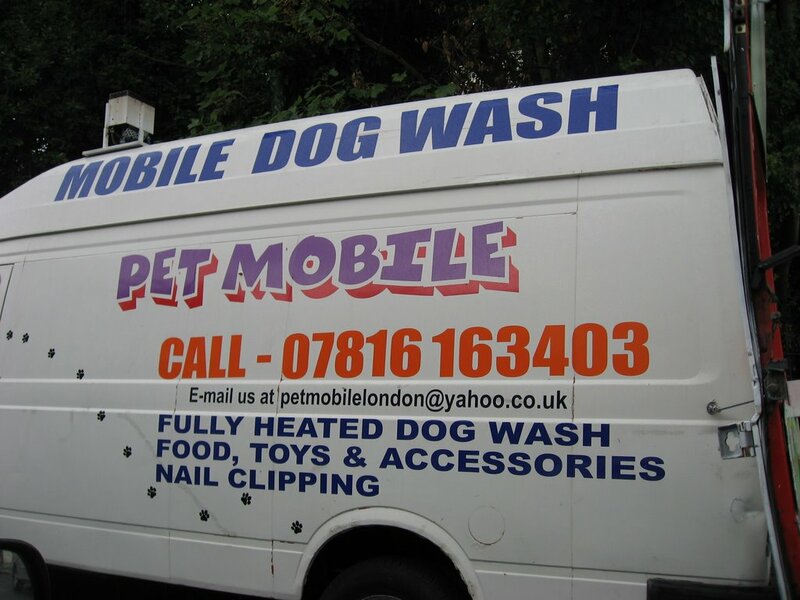 A clever little enterprise that seems to spend most of its time around the leafy periphery of Hampstead Heath where business must be booming!